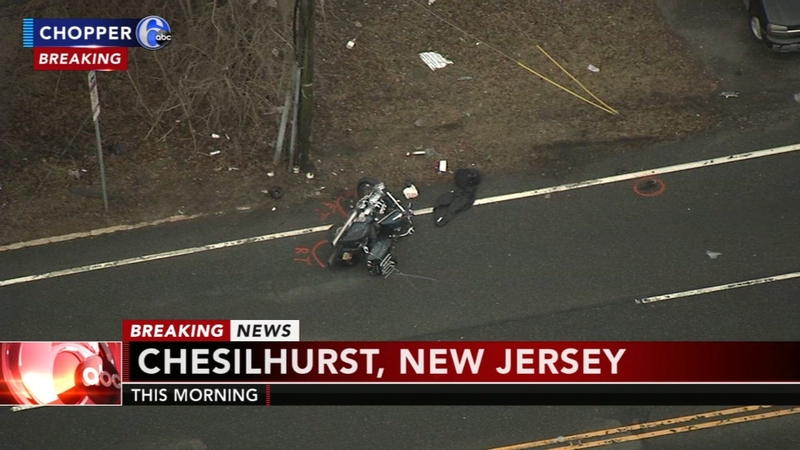 CHESILHURST, N.J. (WPVI) -- A pedestrian was killed after being struck by a motorcycle in Chesilhurst, N.J. It happened at 6:30 a.m. Monday on the White Horse Pike near Garfield Avenue. Police say the victim was pronounced dead at the scene. The motorcyclist was injured, but those injuries were not considered to be life-threatening. The White Horse Pike was closed in both directions as accident investigators worked to determine what led to the crash.